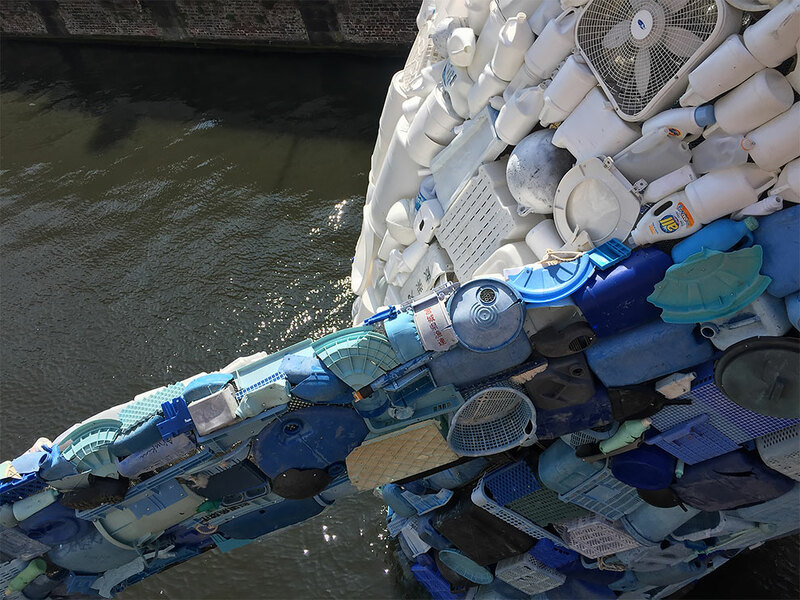 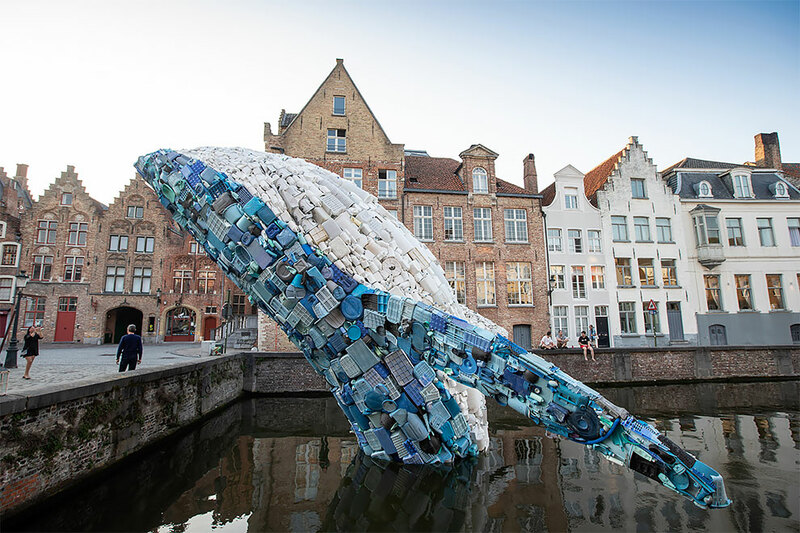 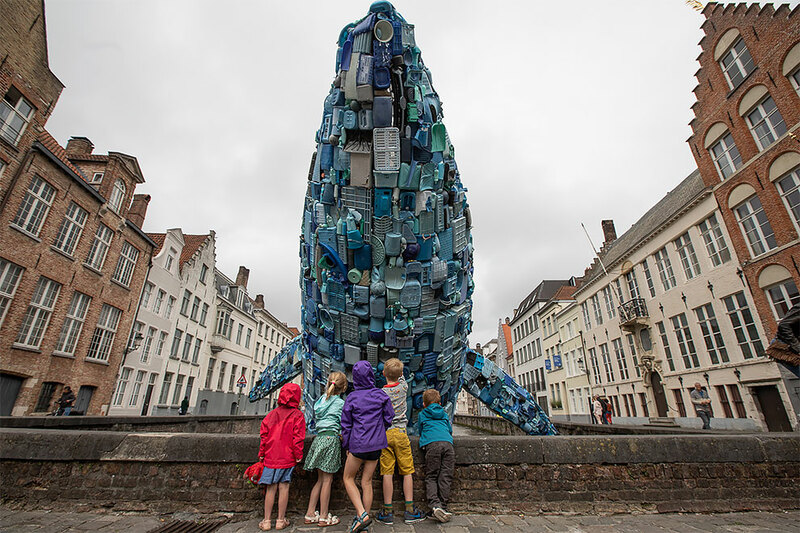 Against ocean’s pollution, Studio KCA installed a 5 tons whale sculpture, 11,5 m high in the middle of a canal in Bruges. 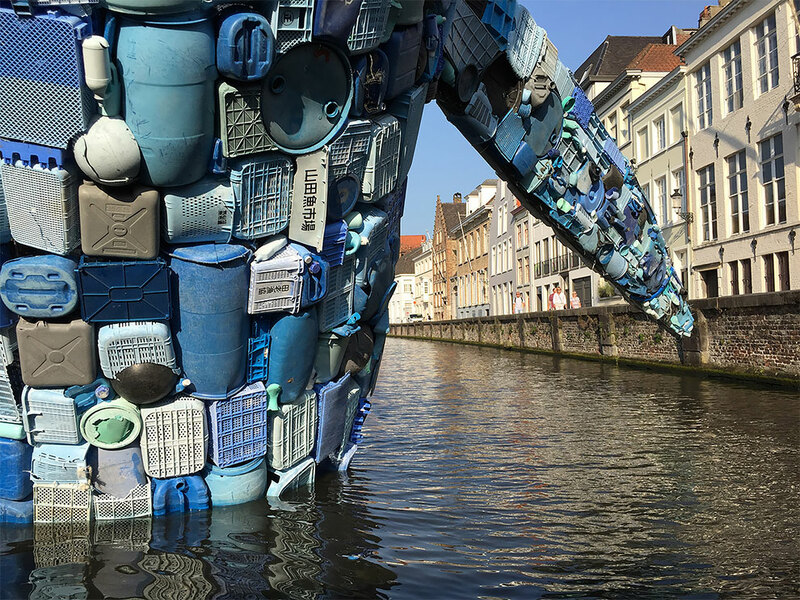 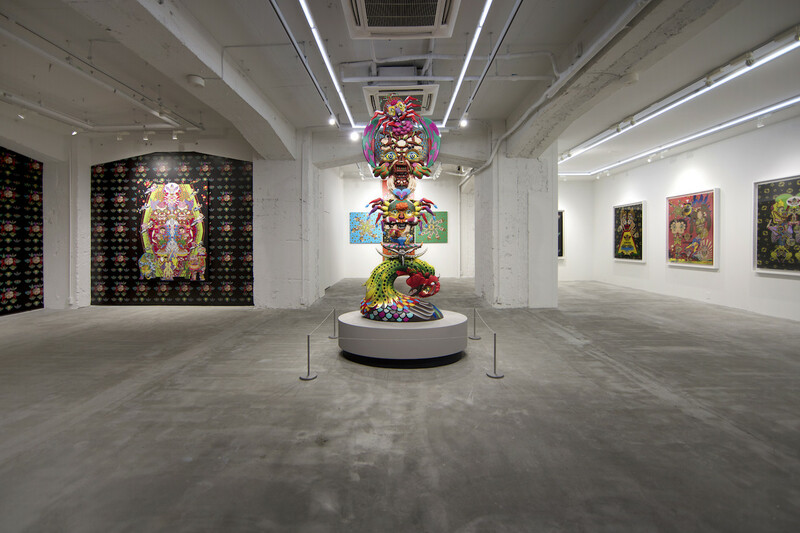 The statue is entirely composed of whastes found into the Atlantic and Pacific Oceans. 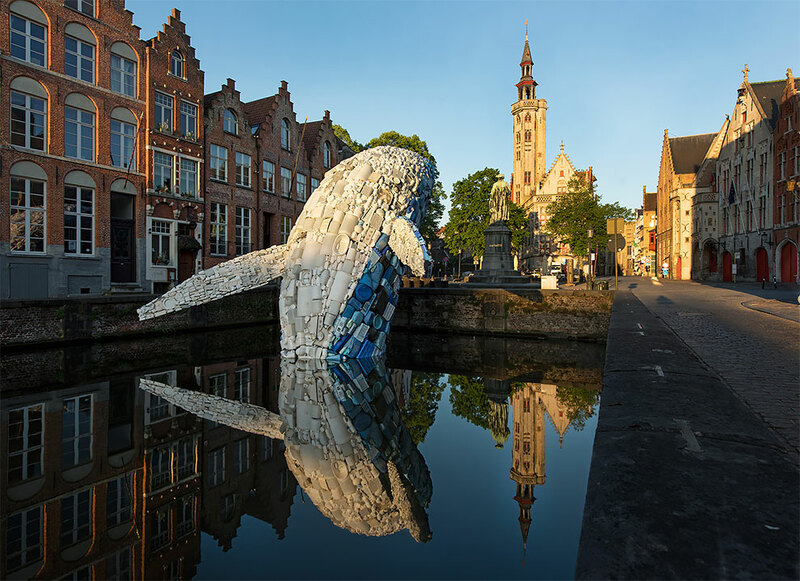 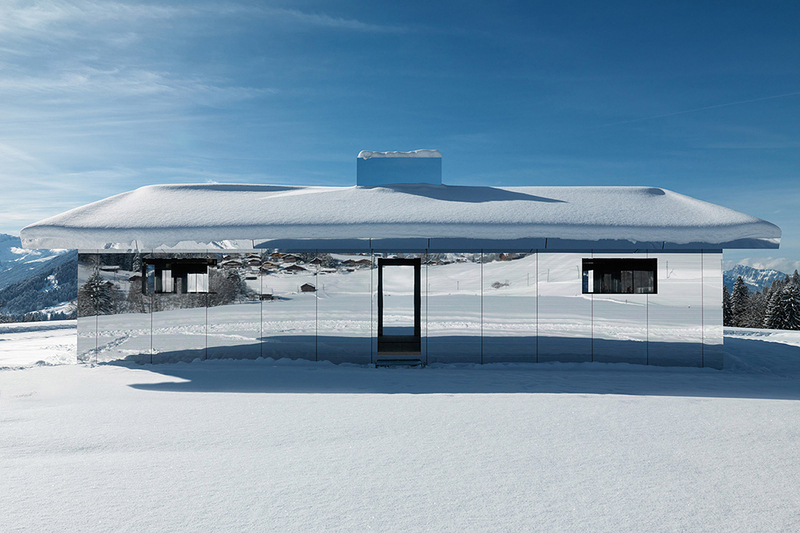 The project was a part of the Triennale de Bruges which was this year about the theme “Liquid City”.